Cute as a Cupcake! 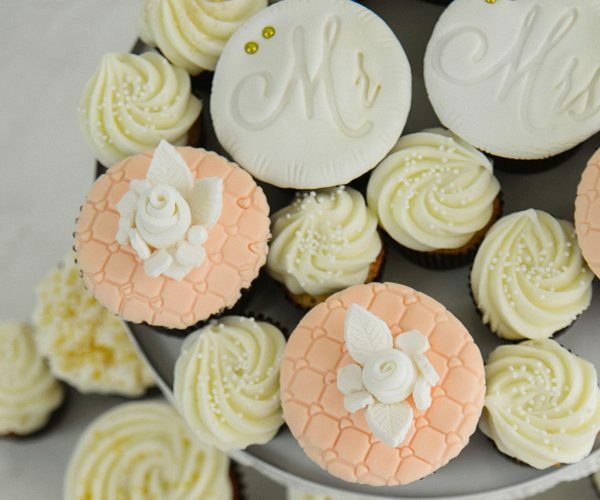 Cupcakery & Bake Shop, located in Merrillville, Indiana on US Route 30 is your destination for wedding cupcakes! 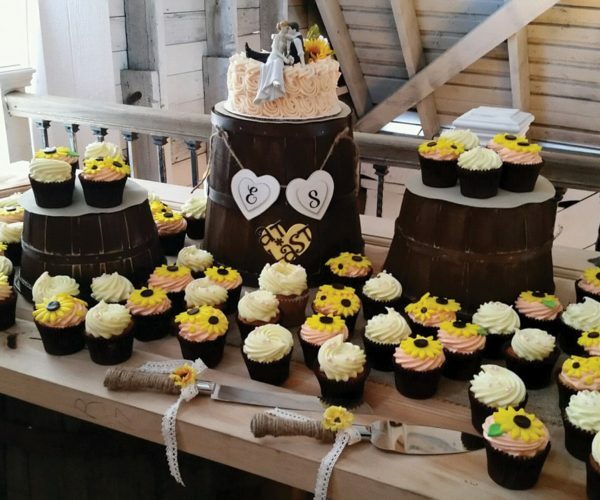 More and more couples are adding cupcakes to their elaborate wedding cakes. 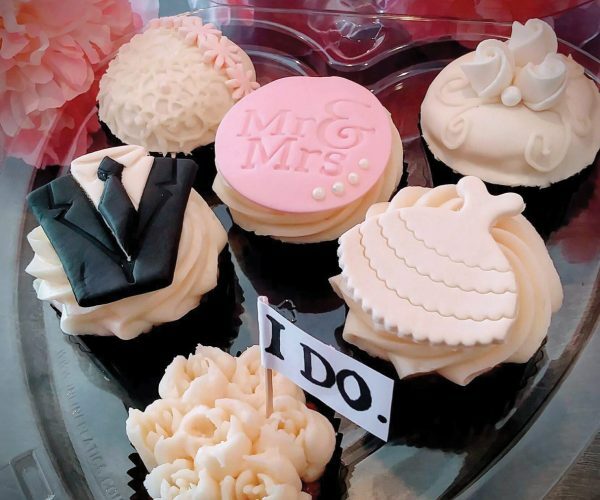 Some prefer to only have cupcakes.Often referred to as Wedding Cake 2.0, cupcakes offer an array of cake flavors, icing combinations and perfect embellishments to add beauty to such a special day. At Cute as a Cupcake! Cupcakery & Bake Shop, all of our cupcakes are hand-crafted, baked from scratch with only the finest ingredients. Carrying the legacy of the owner’s grandmother, the cupcakes were created with her recipes. You can immediately tell the decant cupcakes are moist, full of flavor and made with love. We always encourage our clients to select a variety of flavored cupcakes and icing combinations that will ensure they’re happy and that their guest leave happy. Options include traditional flavors such as Vanilla, Chocolate and Red Velvet to specialty flavors such as Dutch Caramel Apple, Peach Cobbler, White Chocolate Lemon and Turtle. At Cute as a Cupcake! Cupcakery & Bake Shop, we offer over 40 different cupcake flavors. We even will make a flavor not on our menu at the request of the client. In addition to cupcakes, we also offer the Cutie Cupcake in a Jar, a de-constructed cupcake with two layers of cake and two layers of icing, ready-to-eat cupcake in a jar! The Cutie Cupcake in a Jar is great for weddings and showers. We offer the client the ability to customize the color of the lid and create a personalized label. The jars are offered in both 4oz and 8oz. Both Cutie Cupcakes in a Jar and our decant cupcakes will add beauty and sophistication to your special day.